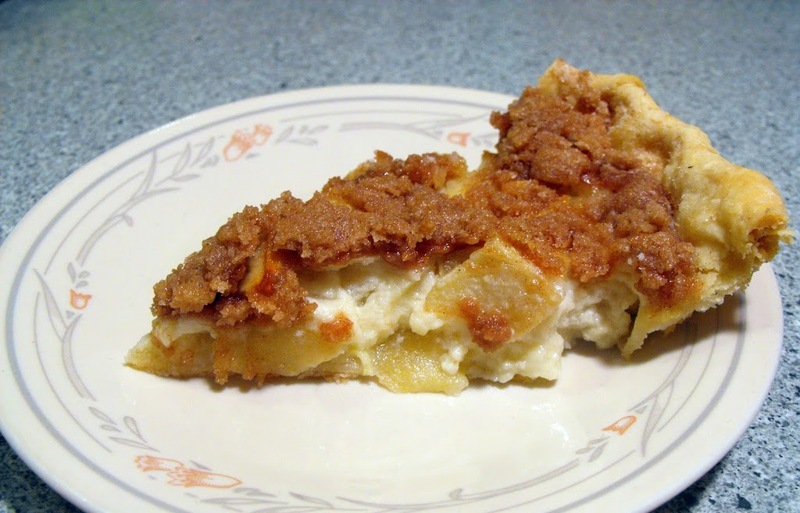 Sour cream apple pie, a family favorite. To top off the pizza extravaganza in my last blog post I made a sour cream apple pie. Even though the pizza was very filling some of my family had room for this dessert, including myself. Now really who can pass up a delicious piece of pie? Not me! This pie is not your conventional apple pie. It is made with sour cream along with other ingredients (that I will talk about later) mixed right with the apples. The combination of the ingredients turns out to be almost like a custard filling with the apples. One surprise with this pie is there are no spices added to the apples like most apple pies have. 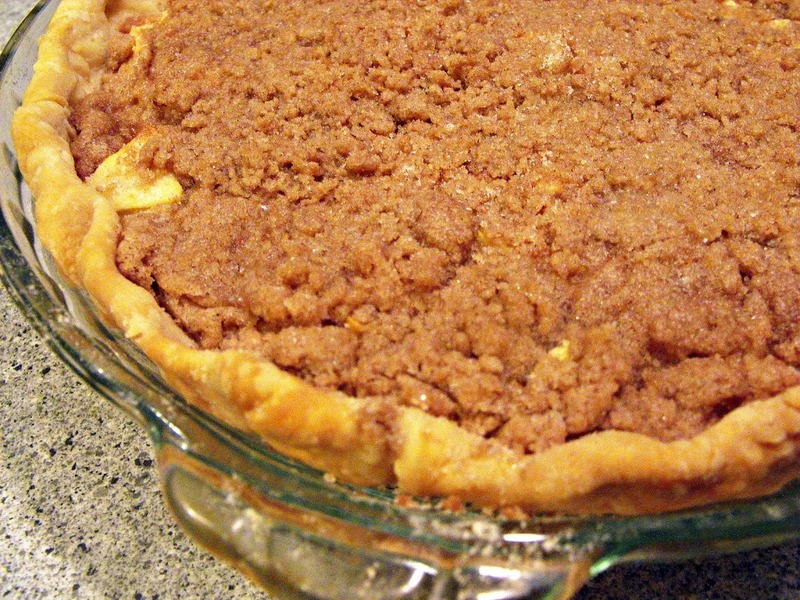 Cinnamon is found in the topping of this pie and I think that is quite enough. I hope you enjoy this pie as much as my family does. It is one of the pies that shows up every time we have a family gathering that features pies. This pie tastes great with a little ice cream on the side, especially when the pie is still warm. Sift dry ingredients together. Add sour cream, egg, and vanilla to the dry ingredients; beat until smooth. Add the apples and mix well. Pour into the pastry-lined pie pan. Bake in a 400-degree oven for 15 minutes then turn down the oven to 350 degrees and continue baking for 30 minutes. While the pie bakes make your topping. Combine topping ingredients and mix well. Sprinkle over pie and return to oven. Bake at 350 degrees for another 10 minutes. I wish I had a huge slice right now! The apple pie looks so tempting with cinnamon flavoured topping!